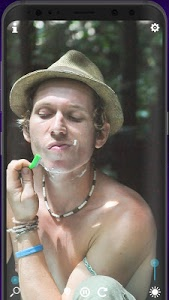 Real Mirror is an application that helps you to turn your phone into a wonderful mirror with multiple functions. 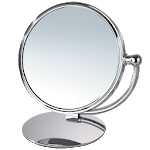 This phone mirror is perfect when you need to check your appearance, look, makeup, lips or eyes, put in contact lenses or shave at any time and any place. You don't need to carry around a mirror anymore just to check your look. Do you need to check your look fast? But you don't have a mirror? This Real Mirror app is the best solution for you. Your phone will be also your mirror using this Real Mirror application. This mobile mirror app uses your front facing camera to function as a mirror. 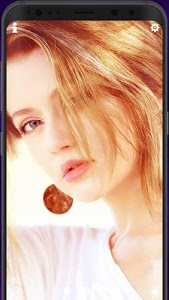 Therefore, this Camera Mirror app offers multiple features like freeze/unfreeze image, using frame to lighten the image and make the view in the mirror even better, and many other useful features. You can also use Real Mirror as a selfie camera. ✓ Works in darkness - light function included. 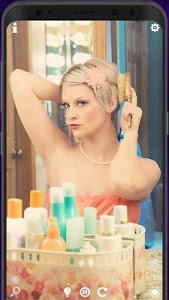 This Real Mirror mobile app is convenient to use anywhere you need to see yourself. Whether it’s make-up application, styling your hair or taking the best picture for the perfect Instagram selfie photo, we’ve got you covered. Never carry around a compact mirror again! Use instead this smart mirror app. NOTE: Front camera is required for mirror functionality. However, if your device doesn't have a front camera, you can use this software to take pictures with effects and frames using the rear camera. Similar to "? Mirror: Real Mirror"